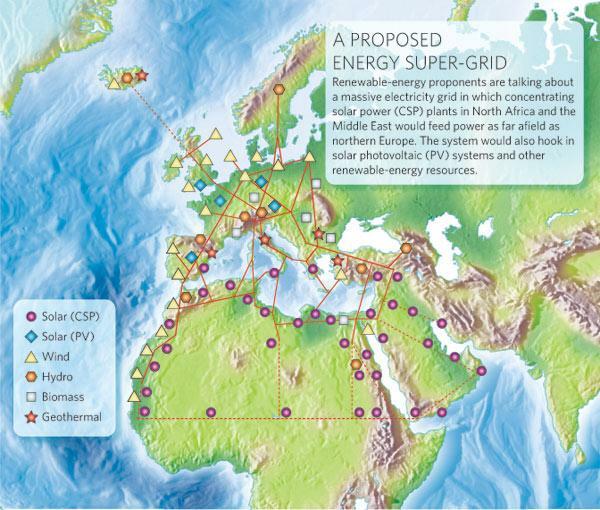 An article in Nature Magazine this month discusses realistic options for harvesting energy from the desert in Africa. On the same day as the Nature article, Google announced RE<C, an initiative to look for renewable energy (“Google Green”?). 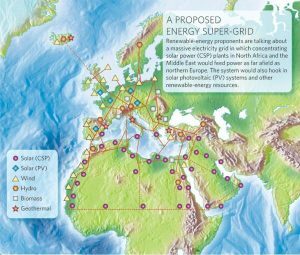 They are working with companies to explore new technology… one such company is eSolar Inc.
Update: in 2012, Siemens pulled out of DESERTEC project. See Article. Update: 2017, the Dream didn’t die. See Article. Update: 2017, eSolar goes AWOL. See Article. At the same time, yesterday the Club of Rome sponsored a presentation by the president of Jordan in Brussels. The White Paper is here. At least one Dutch company is active in this area, Free Energy International. In coming days we will explore this area further and summarize investigations. Update: 15/6/2018 – None of the old links can be found. https://sweetmaps.com/wp-content/uploads/2019/01/logo-trans-1-300x138.png 0 0 Nina KF https://sweetmaps.com/wp-content/uploads/2019/01/logo-trans-1-300x138.png Nina KF2007-11-16 10:22:212018-06-16 10:50:03DESERTEC, REC, eSolar, etc. Two contemporary artists using maps in their work exhibited recently at the Tate Modern in London: Judi Wertheim’s Brinco project was featured in “The Irresistable Force” at the Tate in London. 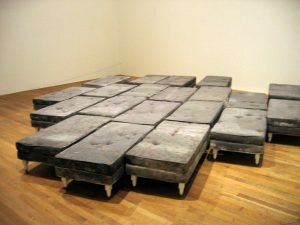 When originally staged in San Diego in 2005, the Argentinian artist ”gave some pairs away, to immigrants trying to cross from Mexico to the United States. 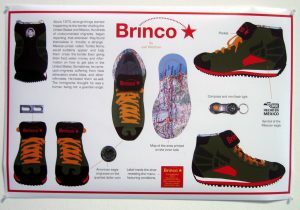 She designed her show with them in mind, since it includes a detailed map of the border area on its inner sole, an attached compass and mini-flashlight, as well as a picture on the heel of a Mexican priest, Toribio Romo, who, in the ’70s was thought to be a “guardian angel” for those crossing the border”, according to the San Diego Union Tribune. Another room was entirely filled with map-covered beds by Guillermo Kuitka, also an Argentinian (coincidence? ), whose large-scale works are often inspired by cartography.